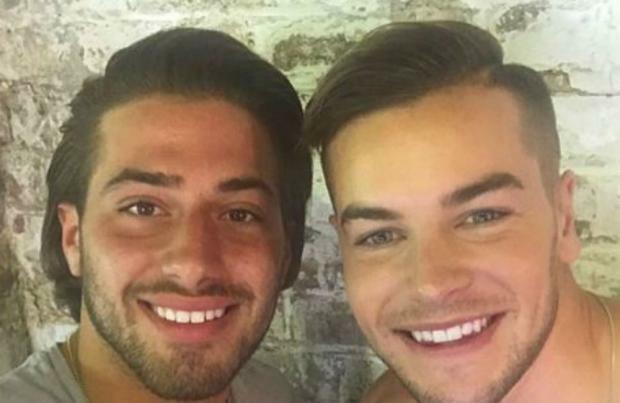 'Love Island's Chris Hughes and Kem Cetinay are set to star in a second series of 'Chris & Kem Straight Outta Love Island'. The two hunks rose to fame after becoming close friends whilst on the ITV2 couples reality show - which Kem eventually won alongside his partner Amber Davies - and were quickly given their own spin-off show on the same channel. Now, after pulling in an impressive 471,000 viewers, 21-year-old Kem has said the pair are in a "good position" to be offered a second series. He told The Sun newspaper: "Me and Chris are in a good position at the moment because the figures that we anticipated for the show we completely knocked them out. "They already said we would love to do one after with you but obviously we need to see whether you can hold up a show on your own. "I remember the next day the producer rang me he was like 'Killed it, the viewer figures have been amazing'. "I assume they're gonna wanna do it." The show - which was comprised of just two episodes - follows Kem and his best friend Chris, 24, as they start their journey from reality stars to music stars, with fans being able to see the duo land a record deal with Sony, play their first gig at Ministry of Sound in London, and travel to Los Angeles to learn more about the hip-hop genre. After the show aired, the pair released their debut single 'Little Bit Leave It', which managed to top the iTunes chart. Meanwhile, Kem previously revealed he felt "under pressure" for the show to do well, after realising how excited their fans were. "It's going to put pressure on me and Chris, but from the reaction when we got it on Twitter I could not believe it. People went mad for it. I rang Chris and said: 'Is this really the reaction we got?' so I feel under pressure now."